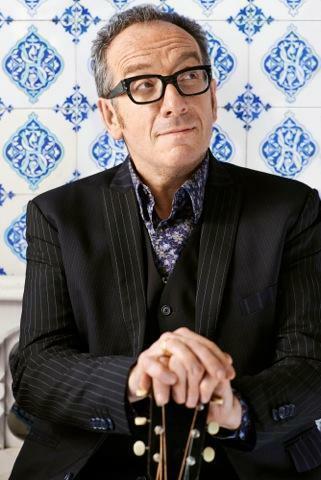 Elvis Costello was first asked to write his autobiography when he was a mere 24. “I thought I’d better wait until I’d done something,” he says. Now 62, the rock-pop-country-jazz musician has done plenty, which he writes about in his new memoir, “Unfaithful Music & Disappearing Ink.” Berklee Performance Center invited Costello to talk about his book in a session last night. COSTELLO: I’m reading a biography of the record producer Sam Phillips by Peter Guralnick. It’s a marvelous tale. I’ve known Peter a good while. Despite my name I’m not a big Elvis Presley fan, but Peter’s two-volume biography of Elvis is filled with tragedy and humanity. BOOKS: Do you read a lot of musician biographies? COSTELLO: I don’t read exclusively about musicians, but two of my favorite books are memoirs by musicians, one by the composer Hector Berlioz and “Beneath the Underdog” by the jazz bassist Charles Mingus. I started reading biographies when I began traveling a lot. Before that I read much more eclectically. Once in a while I still take a favorite book with me on the road, like “The Pat Hobby Stories” by F. Scott Fitzgerald. I’ve taken a book of James Thurber short stories, poems, and cartoons. The absurdities in them still fit life today. BOOKS: How would you describe yourself as a reader now? COSTELLO: Occasional. I’m not a really big reader to be truthful. I read a lot of books that interest my 8-year-old twin boys. I will slip into our stack of books by Edward Lear, Shel Silverstein, or Spike Milligan. He was a genius writer. BOOKS: What would you make time to read? COSTELLO: I like to read history. I’ve read about the American Civil War, some of the books about Ireland, books about explorers. My favorite about Ernest Shackleton is Caroline Alexander’s “The Endurance.” One book I always recommend is Margaret MacMillan’s “Paris 1919.” It’s quite poignant and instructive. BOOKS: Do you read poetry? COSTELLO: I have some poets that I carry with me, Whitman, always Yeats, and some more recent poets. I always have books at the bottom of my suitcase that I intend to read, but some never make it out of the case to be honest with you. COSTELLO: I will read novels by my friends. In fact I finished a beautiful novel, “A Free State” by Tom Piazza, who is a friend. It’s very hopeful and sad. But I don’t recall the last time I bought a novel other than to purchase something I read a long time ago. I tell people that I quit reading at 18. They think I’m kidding. In a sense I did because I really haven’t read much fiction since then. BOOKS: How do you choose books that you read? COSTELLO: I know of bookshops that have that eye for putting out books that might have escaped your notice, and it just sends you down a trail. You appreciate that. That’s the way record shops used to be. They are advocates. There’s Bridge Street Books in Washington D.C., Book Soup in Los Angeles, and numerous ones in New York City. That’s part of the pleasure of going those places. BOOKS: What was the last book like that you stumbled upon?